2 Queen size beds and 2 single beds. Enjoy waterfront living in our luxury townhouses alongside secluded Noosa Waters man made canal estate, with direct access to the beautiful Noosa River. Relax in one of our pools, or by the canal, or on one of our private jetties. 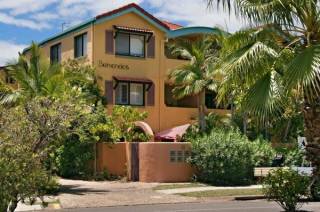 Our townhouses offer some of the best accommodation in the Noosa area. Our luxury townhouses feature 1, 2 or 3 bedrooms. With their own fully equipped kitchen and laundry facilities. 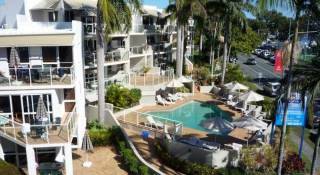 Noosa Entrance Waterfront Resort is perfect for couples or large families. You may even choose to stay garden-side or waterfront! Take a short stroll from our resort to the cafes, restaurants and shops of Noosaville?s Riverfront, or take a short drive to Noosa?s famous Hastings Street. 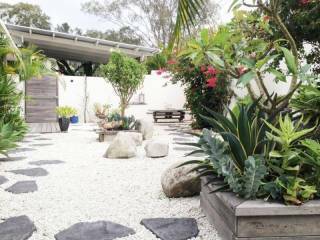 Set on four acres of lush tropical waterfront gardens, ?Noosa Entrance? has four swimming pools (including a heated pool & tropical wading pool), private jetties for fishing, and secure boat moorings. You may also hire a boat, kayaks and fishing rods ? 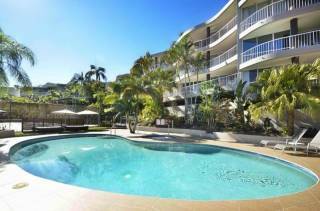 adding an extra dimension to your Sunshine Coast holiday! 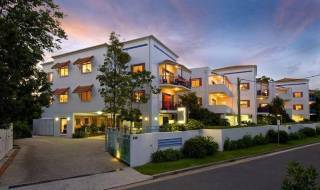 Noosa Entrance Waterfront Resort is a family operated business and prides itself on offering friendly, personal service. 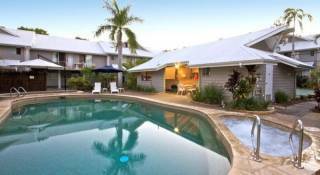 Book your Sunshine Coast holiday today! Once you stay at Noosa Entrance Waterfront Resort, you won’t holiday anywhere else. Please note that payment with American Express credit cards attracts a surcharge of 2%. Payment with Visa or MasterCard does not attract a surcharge. Please note that the deposit required to secure bookings during the Peak Season is $500. Peak Season dates are the 5 nights from Easter Thursday and from 20 December to 20 January each year. Although the next screen will indicate a deposit of $250 to be taken, if the booking dates requested are during the Peak Season the actual amount of deposit required will be $500. Noosa is situated on the Sunshine Coast on the east coast of Australia. Noosa is located only 1.5 hours drive from Brisbane and 2.5 Hours from the Gold Coast. Sunshine Coast Airport at Maroochydore is approx 30 minutes drive from Noosa and has direct flights to and from most Australian capital cities. Brisbane airport is the domestic and international gateway to Queensland with over 200 flights daily. You can use Google Maps to help find your way when you are driving to Noosa Entrance Waterfront Resort. Just enter your Start Address and 67 Gibson Road, Noosaville, Queensland 4566 in the Destination box and Google Maps will show you the easiest way to drive to our Resort.